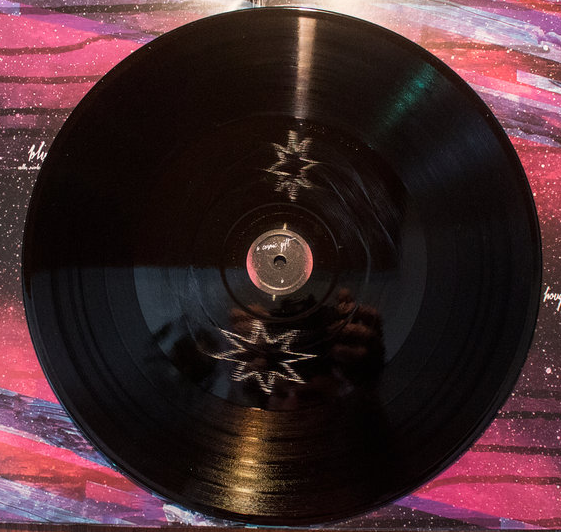 This is the full-length album Hologram from A Cosmic Gift, available on black vinyl with a rotating hologram etching on the record itself and a gatefold jacket. 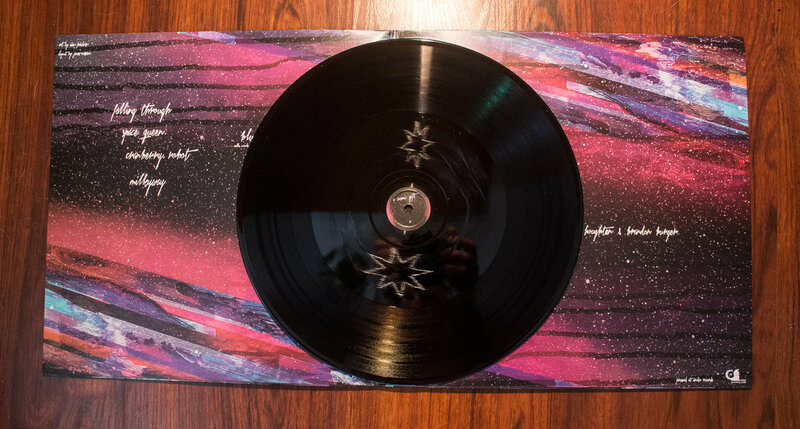 Limited to 300 copies worldwide. Situated somewhere between trip-hop, psychedelic rock, and the electronic sub-genres of jungle and drum n bass, Hologram is hard to pin down and changes the moment you do. Tracks like "Falling Through" move languidly along, fitting perfectly into playlists with titles containing the word "chill", but before long you're launched into the full 160bpm fervor of "Cranberry Robot" and the barnstormer that is "Blue Prism". The arrangements feel familiar and interstellar. Brandon Burger and Richard Houghten are both ambitious musicians on their own, but their combined talents, along with cello contributed by Nicole Calhoun, make for something special. Don't sleep on this one. 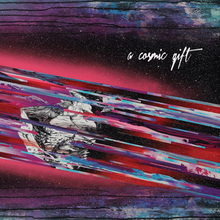 A Cosmic Gift's song "Space" was featured on VINYL MOON Volume 035: How Much Boom?